Rochel is an Orthodox Jew, and Nasira a Muslim of Syrian origin. They are both beautiful young teachers at a public school in Brooklyn. They also have something else in common – they are going through the process of getting "arranged marriages" through their respective religious and traditional customs. 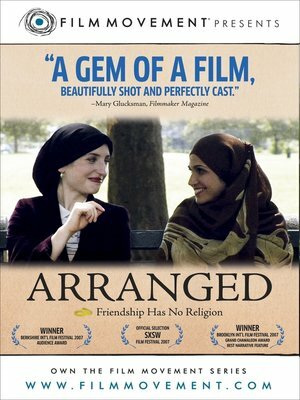 With both family pressure on the one hand, and the rejection of traditional values by the outside world on the other, Rochel and Nasira will have to rely on each other and their friendship to pull through this difficult time of their lives, striving to be strong women in charge of their own happiness, while keeping their deep religious and cultural convictions. Winner – Audience Award – Berkshire Int'l Film Festival; Winner – Best Narrative Feature – Brooklyn Int'l Film Festival; Official Selection – SXSW FF.